Same password as before with an update for all you lovely Ladies! Email me at pdot95@gmail.com for the password. If you’re someone who has been around and supporting our journey for awhile, I will send you the password. 8 months and I hardly remember what love de was like before A arrived! Oh yes, I could take off t the grocery store without it being a major production, lol. Weight: I still have no idea. Hi should probably do the weigh Mae/weigh her thing one of these days because we don’t have an appointment until July which I think I need to change because we’ll be in CT now. Medical Issues: Nothing much to report. She’s had a running nose the last few days but I think it’s due to teething. Unfortunately, we don’t even see the white bumps yet. Sleep: she’s waking up earlier than she used to. Usually sometime in the 6am hour. She goes down between 7:30-8:30 most nights. 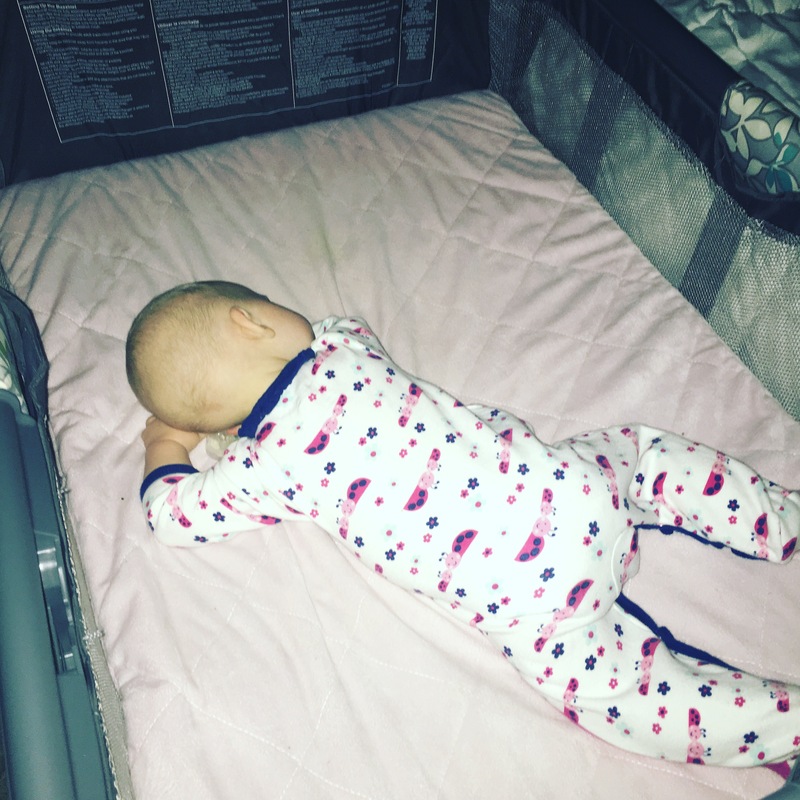 Last week, we transitioned out of the sleepsuit after a warm front came through and we weren’t ready to turn air on just to keep her in it. Plus, she was gett by close to being able to roll to her tummy in it so it was time to lose it anyways. I moved the glider from the living room to our room so our new routine is that we go in and I pray over her, sing “You are my sunshine” and then an assortment of praise and worship songs while we rock. She’s usually asleep by the end of the first worship song but I keep rocking through a few more because I treasure every moment of it. Clothing Size: Mostly 6-9 months with a few 3-6 month things still in the mix. 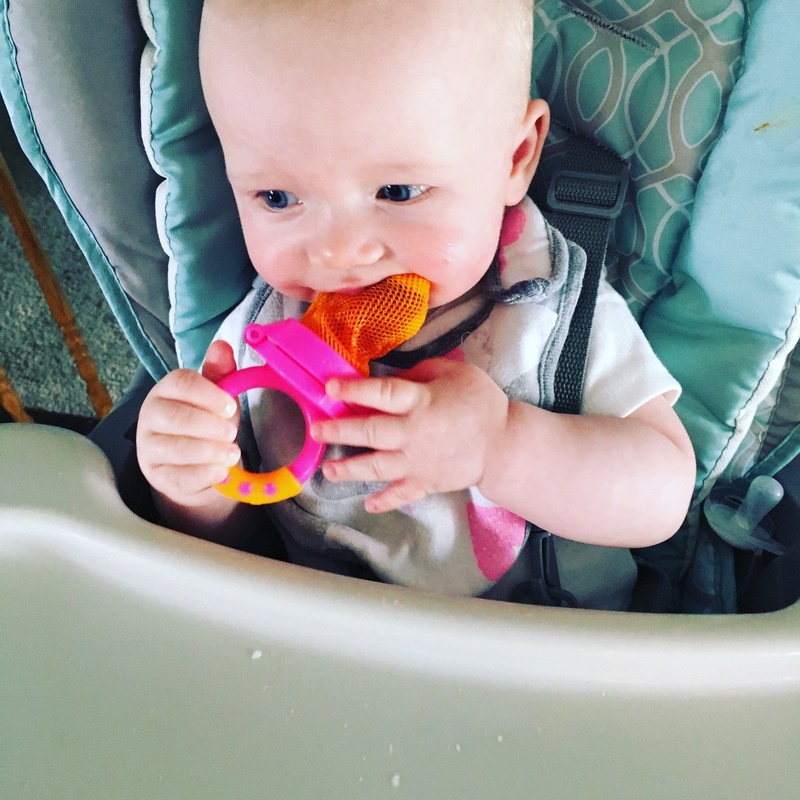 Diet: Same as last month with add by in finger food to practice hand mouth coordination. 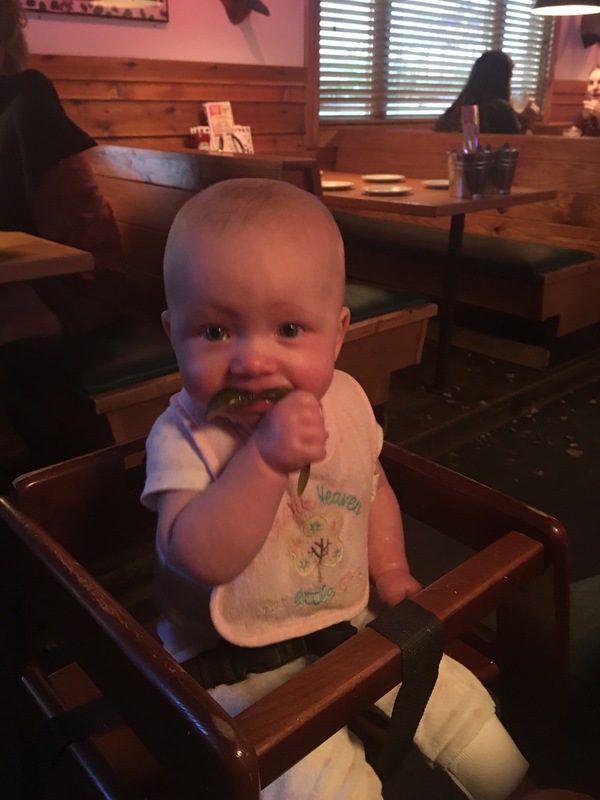 Oh, and this little girl seriously loves her some pickle spears! 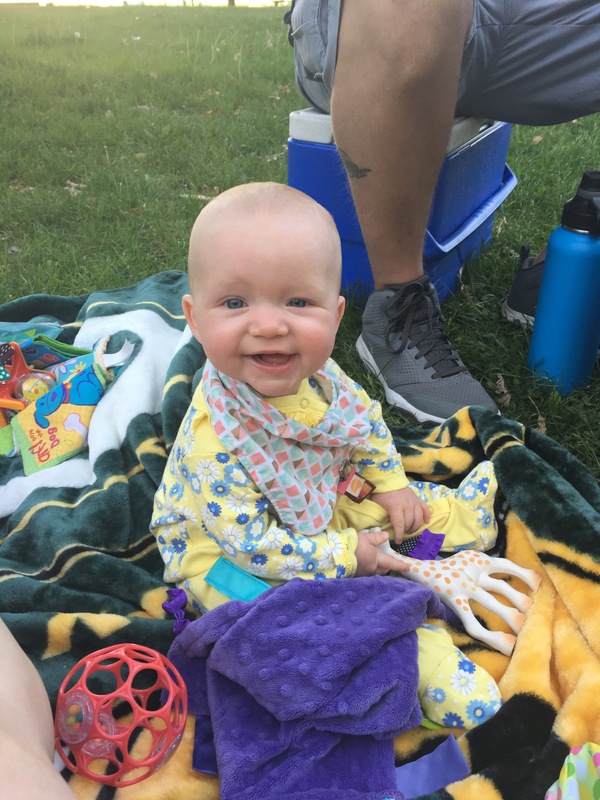 If you have any BLW advice for healthy foods to try first with her…I’d appreciate it! Target up and up infant formula. This is her schedule for the last week or so: 7-8am: get up, changed and have a 4 oz bottle. About 30-45 min later, she has oatmeal with fruit in it. About 2 hrs after she gets up, she goes back down for about a 2 hr nap. Wakes up and has a 4 oz bottle. Around 12:30pm, we have a veggie and fruit. About 2 hrs after her morning nap, she goes down for the afternoon for 2-3 hrs. Wakes up and has a 4 oz bottle. Then she usually has a 3 oz bottle sometime in the evening and a little cat nap. In the 7pm hour she has rice and fruit and tops it off with a 2 oz bottle before bedtime. 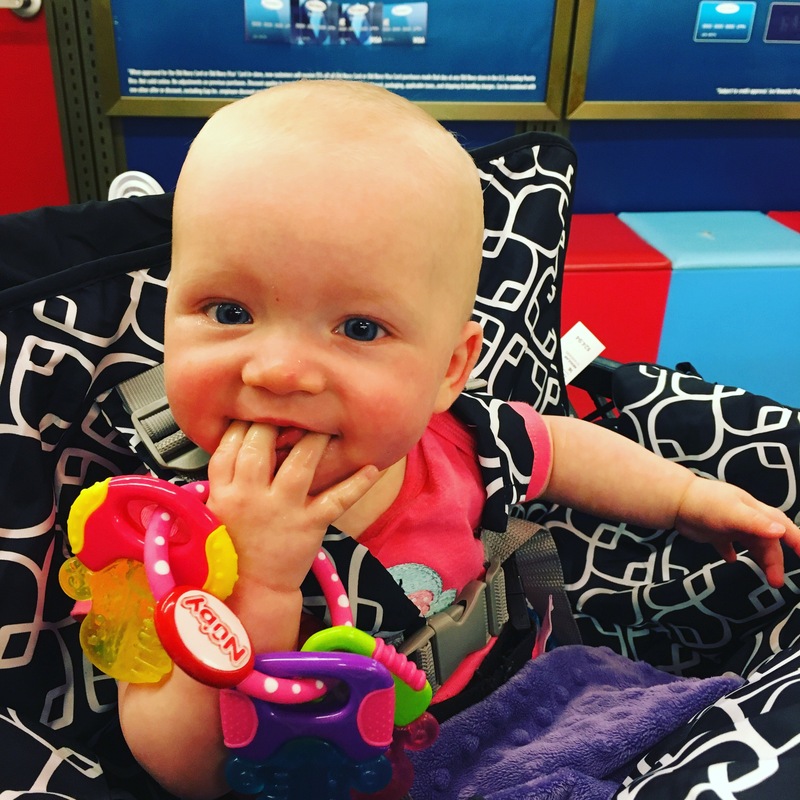 Baby gear love: This girl is all about the jumparoo now and we started using her regular sitting up, face forward stroller a couple weeks ago. We also just got her ear muffs for the fireworks season. Not sure how thrilled she is with them but they make mama happy! 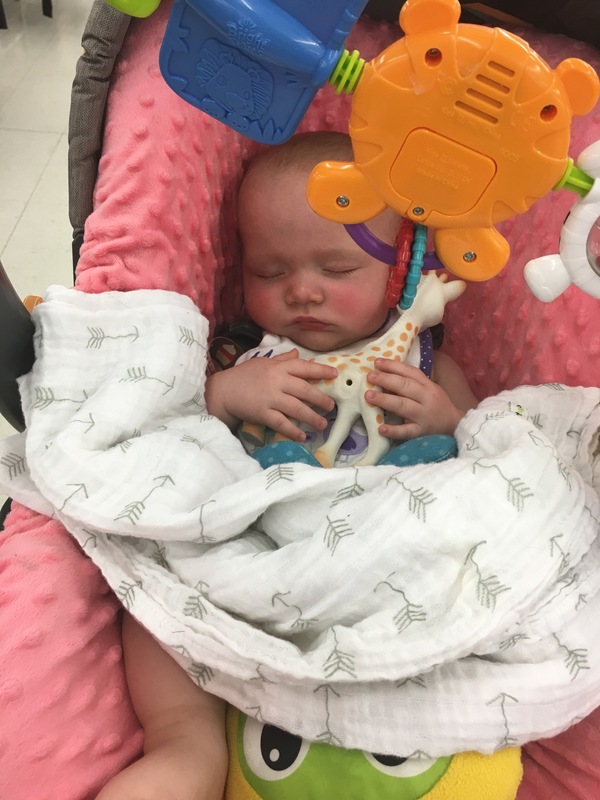 Milestones/Firsts: first riddle n the regular stroller, riding in the seat part because f the cart, sleeping in her pack and play or crib without the sleepsuit. She tried bread, crackers, puffs, meatballs and chicken this month and eats any and all purees. We haven’t found anything she absolutely refuses yet. She also had her first overnights at Grandma’s without Mommy or Daddy. I think it was harder on us. As I looked for pics for this month, I remembered first strawberry, first picnic and first ice cream. 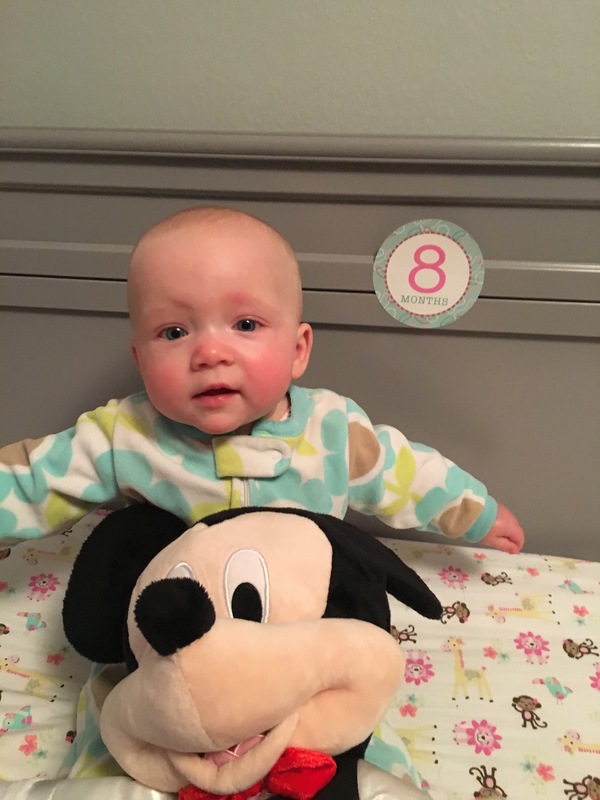 Likes: mommy and Daddy, Baths, playmat, changing table, being told she’s beautiful, tag blankets, jumperoo, sitting up, her paci, rocking and singing, the letter of the day song from Sesame Street and Micky Mouse Club…especially Toodles! Dislikes: not being able to see Mom and Dad. She’s starting to get a bit of the seperation anxiety although she does fine after we leave. Being in places where she doesn’t have her normal routine. That’s all I can think of right now but there’s gotta be more. Things I Don’t Want to Forget: Praying, sing and rocking her to sleep. How much she lives slurping on a pickle. How happy she is most of the time. The way she arches her back and pushes off her feet to get places. I call it the inchworm. How her face lights up at the beginning of a Mickey episode and when they call for toodles. What’s next? Still hoping for creeping and crawling. Trying out more BLW. How’s Mommy doing? I’m not going to lie, it’s been one of my roughest months yet. I don’t want to write about it on here because there’s too many judgmental people that could find it. Let’s just say there’s been a lot going on with J and I. Maybe I will find the guts to do a password protected post for those of you that I know I can lean on. How’s Daddy doing? Like I said, things have been really rough. 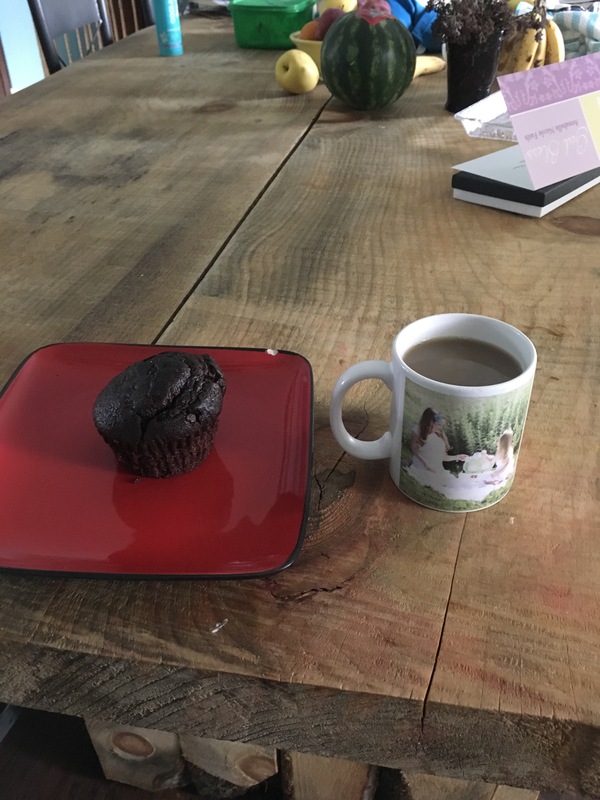 Watching HGTV while eating a chocolate muffin with chocolate chips and drinking coffee because it’s been that kind of week. Working on getting this little grumpykins to sleep. 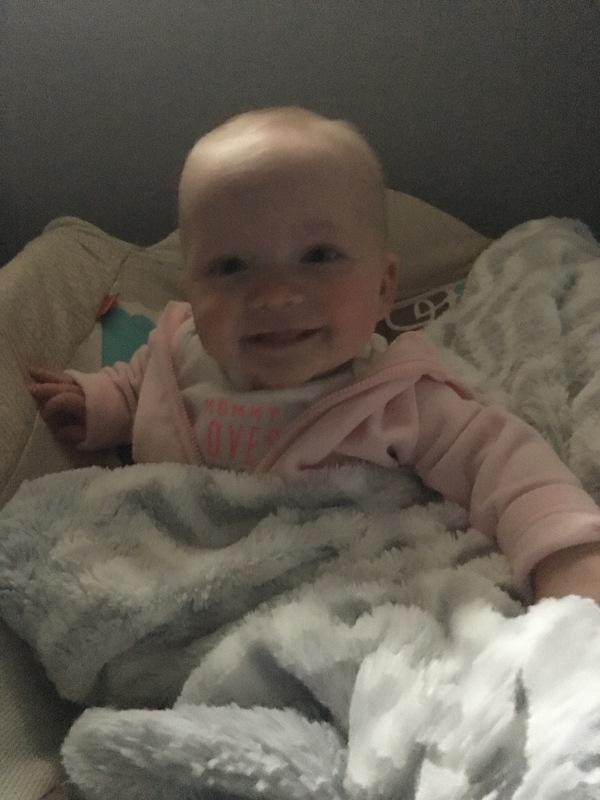 She woke up with the sniffles about 2am night before last so she hasn’t been quite as happy and chill as normal. Do you know what does make her smile though…Toodles from MMC…every stinkin time…it’s completely adorable. Yes, my kid watches tv…don’t judge. And she’s asleep…how do I make that happen…with that sweet little green bottle for peace and calming. Added in for the past couple days has been RC for healthy respiratory support! Currently doing the “Game Plan” boot camp. It’s 25 days doing 5 days during the week with the weekend to catch up if you missed a day. It’s an amazing step by step plan that helps you share Young Living and build a business. Why do I want to do that? 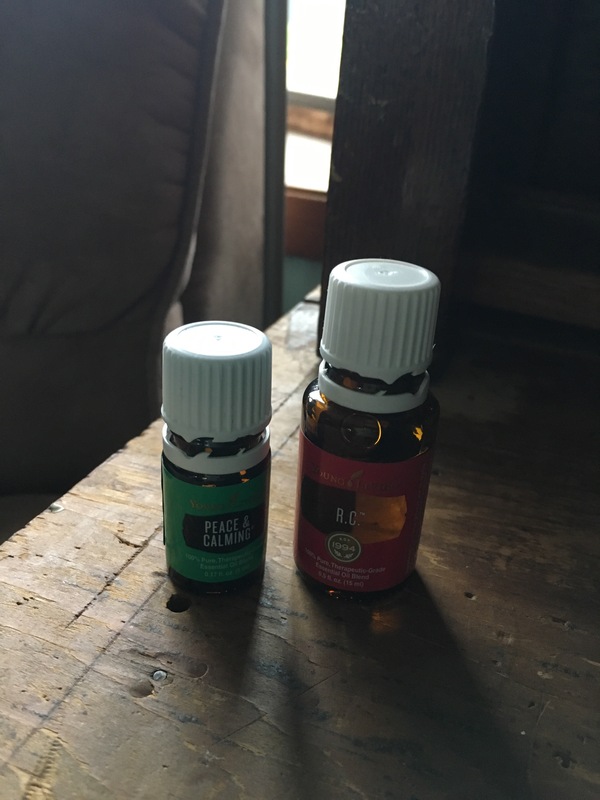 These products are the best I’ve ever seen/used to get chemicals and toxins out of our homes, especially now that I know that they more than likely contributed to my infertility. I want to be able to educate people on this. Also, this company has more integrity and treats their distributors better than any other company I’ve seen and I’ve seen and been apart of a lot. Wondering where we’re going to go next on this journey. Are we done? Should we try a couple more iui’s this summer? Should we adopt through LSS again? Should we just continue to foster and see the if an adoption happens through that? 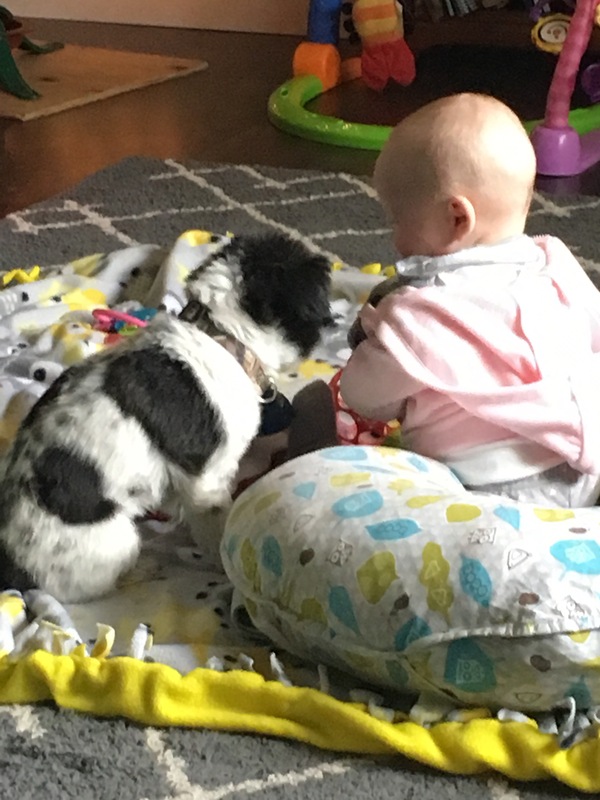 Wondering what’s going to happen with daycare. 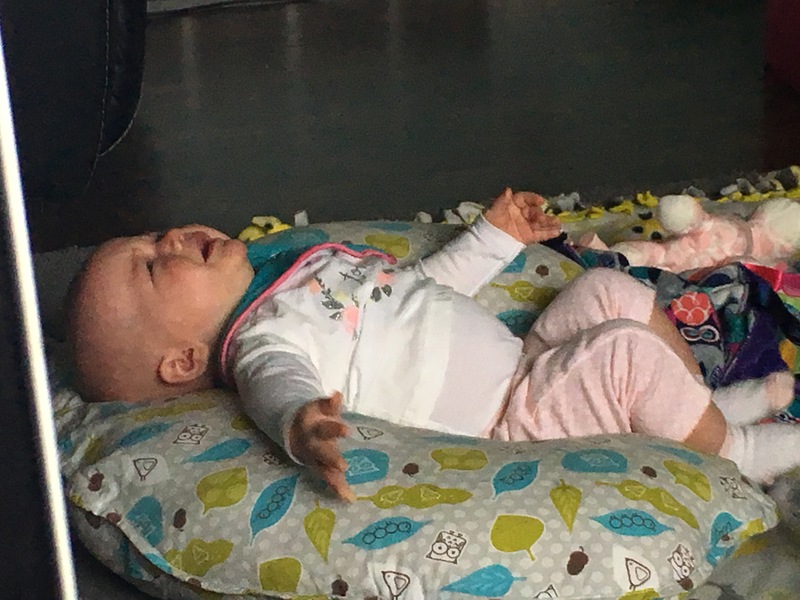 It may just be the end of the year talking and the fact that I had 1 really hard older baby (now 14 mo old) all year and one not so easy little baby since the end and of March, but I am burnt out. Plus I lost 2 of my favorite kiddos for next year! They left in March due to Mom having a 3rd baby (that’s why I have the not so easy baby right now), but now their Dad took the athletic director position at a hs in a different city near by and they already lived in a different town so it makes no sense for them to go out of their way to get here next year. I totally understand, but I’m going to miss them dearly. They are a great family! I did then offer to keep the not so easy Baby next year too but they said they do have tentative plans in place for next year so we’ll see. As much as I love that family also (I used to have their daughter), I would actually be happy if they didn’t take it because then I wouldn’t take on any more babies and I would just add a couple more 2 and oldest if they come my way. 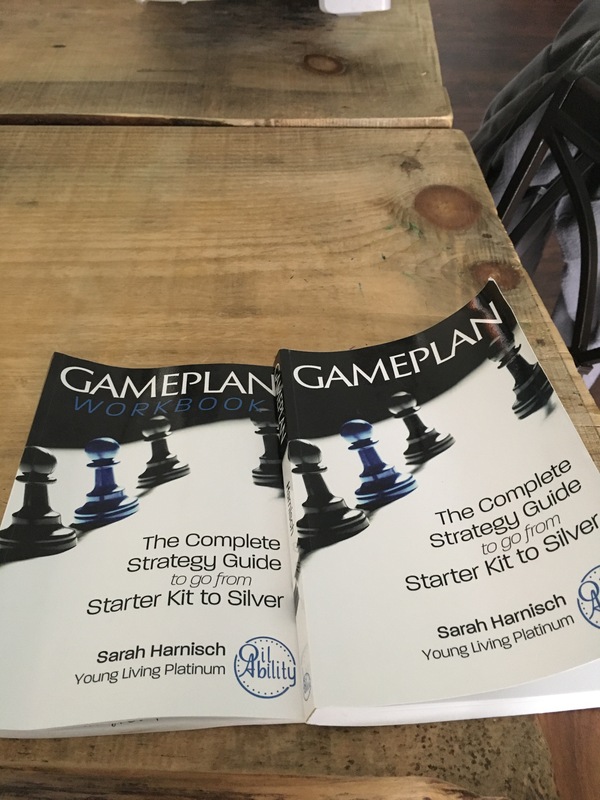 In all honesty, if I can gain confidence in teaching classes through YL and do what the game plan says, I should be at Silver rank by the end of the summer and that would replace my daycare income all together. At that point I will fade out and not take on anymore kids and possible be done completely except for maybe the twins because they’re just afternoons Mom -Thursday. 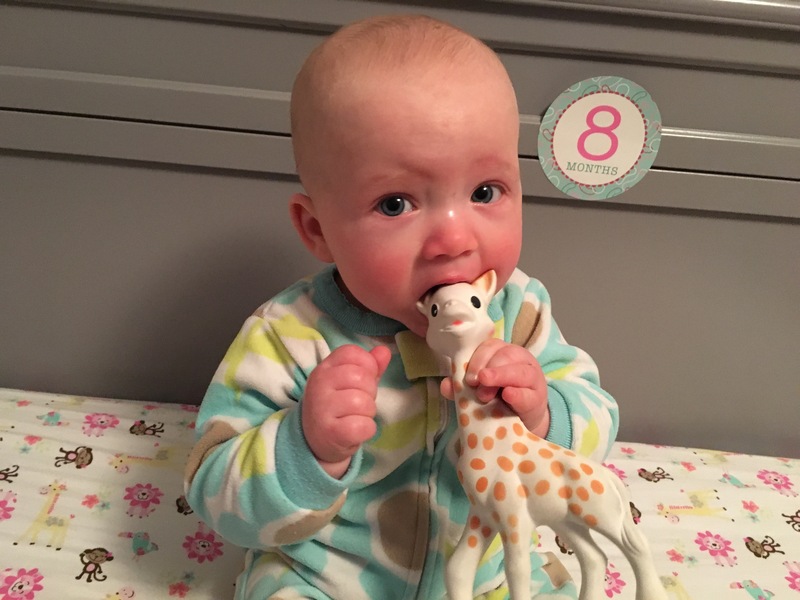 And finally…I’m currently in awe that my baby is going to be 8 months old on Sunday! How did that happen?!!! Last week, I had the awesome opportunity to attend the Christian Alliance for Orphans summit in the Nashville area. One of my dc parents came to me a couple months ago saying that there was money in the OARC (Orphans and At Risk Children) account to send someone and she thought I should go this year because of our adoption of A and also fostering. She was going to try to go too but couldn’t swing it and J couldn’t get the time off so I asked my Sister who is the Children’s Ministry Director at our other church if she could go since the workshops gear towards adoption, foster care and ministry in those areas. Her Senior Pastor gave the go ahead so last Wednesday, we headed out for the 11 hour drive that turned into over 12 hours on the way there due to traffic and rain. We arrived at our AirBNB at 1am on Thursday in Franklin, TN. It was the basement apt. in a house owned by a Woman who also had a couple of kiddos. We didn’t get the chance to meet her but it was a really nice space and she left us goodies to eat and drink in the fridge which was super sweet of her. We got up about 6:30am to get ready to head to Brentwood Baptist Church where it was being held. Oh my gosh…I have never seen a church that big and the one that sent me is pretty darn huge and we’re expanding. This one has a full time preschool in it that has 200 kids every day. It was amazing and easy to get turned around, lol. All in all, it was an amazing but exhausting 2 days and just made me hunger to learn more and do more. I’m going to be researching and learning about TBRI because I think it’s going to be exactly what we need to help T if/when he comes back to us. It really showed me that adoption and fostering is where my heart lies which I don’t know if I would have said that about fostering before I left because of how hard the past few months have been. I was clearly shown that we can make it through and with the right tools, we can really help these kiddos that need to be shown that there’s a different way then what they’ve seen/heard/learned. I’m excited to continue going to workshops and learned more and more about trauma and the ways it comes out in the children I will care for and how I can help them through it. As amazing as the trip was, I was more than ready to get back to A. She had stayed with my Mom while I was gone. 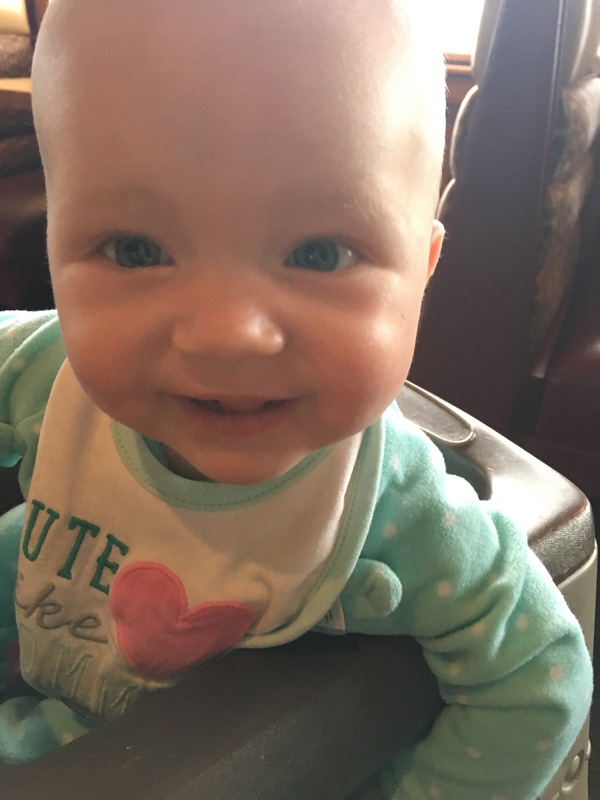 She had a great time with Grandma and her cousins and didn’t seem like she really missed us all that much. In fact, she really wouldn’t look at us too much Saturday night so I think we were getting the guilt trip, lol. If you have a heart for adoption, fostering, orphans, or ministry helping in any of those areas, I highly, highly recommend this conference! Next year’s is going to be in Dallas on May 10th and 11th. You can go to cafo.org to check their organization out! In other quick news…5 weeks until I finally get to start some Maternity leave, lol. I am so ready to just have A and M to think about. Also, A’s Baby Dedication is on Mother’s Day so we’re super excited for that. I feel like there was one more think I wanted to tell you guys, but what the heck was it?! Hmmm, I’m sure I’ll remember after I hit publish…that’s just the way my brain works these days.